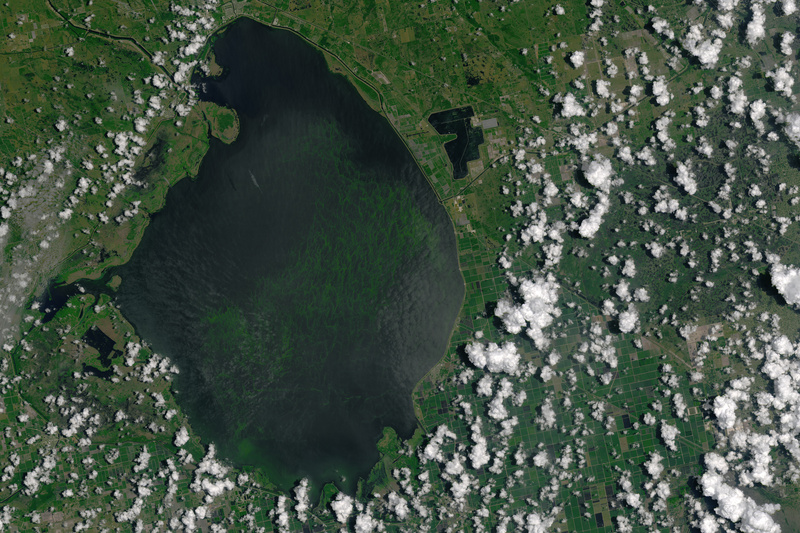 Algae blooms are a regular phenomenon in Lake Okeechobee during the summertime. 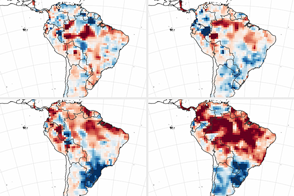 Pollution, such as runoff from farms, and lake water that warms through the summer, create an environment favorable for growth. 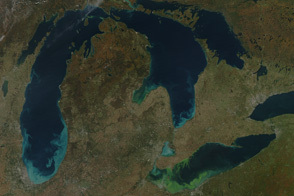 This year the bloom grew large early in the season and it affected more people than usual, showing up far beyond the confines of the lakeshore. Water managers started discharging water from the lake early this year to counter the large amount of winter rainfall. 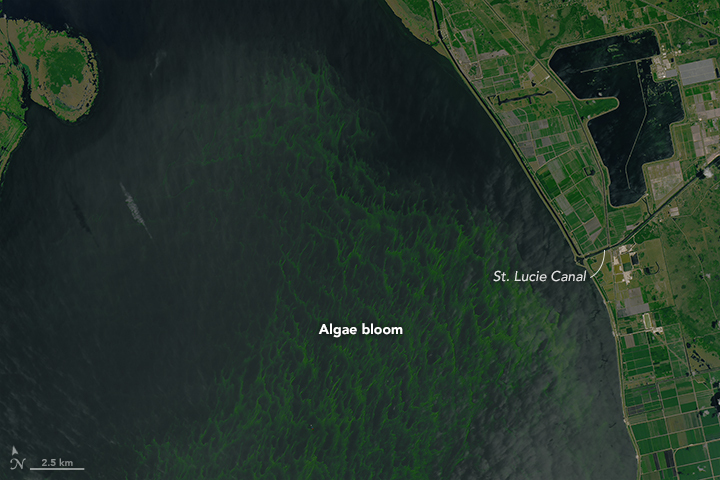 That discharge flows through St. Lucie Canal—visible on the lake’s eastern side—and enters the Atlantic Ocean near Stuart, Florida. 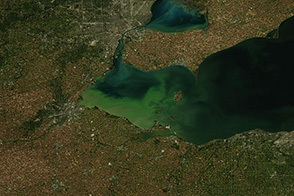 The river outflow carried nitrogen and phosphorous from the lake; it also freshened some downstream areas that are usually too salty for much algae growth. 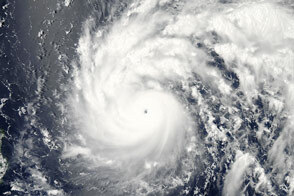 On June 29, Florida’s governor declared a state of emergency in Martin and St. Lucie counties after the blooms appeared in local waterways. According to news reports, water samples collected from the lake and from the river near Stuart tested positive for high levels of toxins produced by the algae. 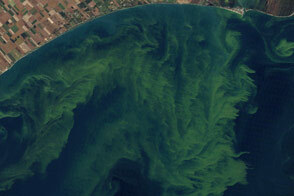 The algae and their toxins can disrupt ecosystems. They also pose concerns for human health, as ingesting algae-tainted water can cause nausea, vomiting and, in extreme cases, liver failure. Florida Fish and Wildlife Conservation Commission Cyanobacteria in Florida Waters. Accessed July 5, 2016. Florida Fish and Wildlife Conservation Commission Blue-Green Algae (Cyanobacteria). Accessed July 5, 2016. 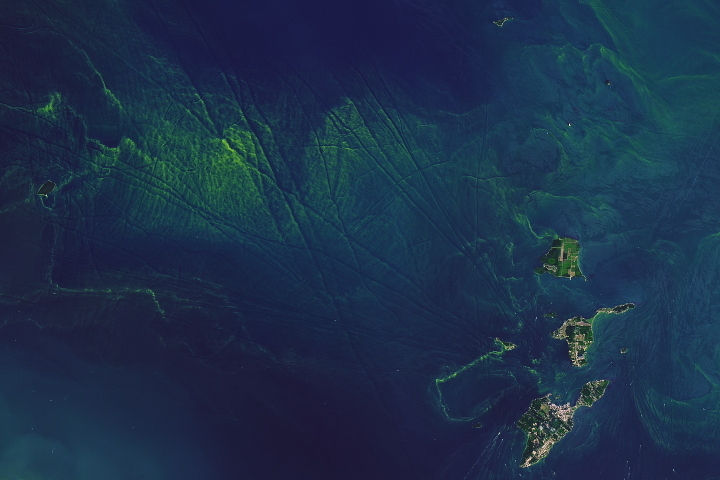 National Public Radio (2016, July 2) Thick, Putrid Algae Bloom Overwhelms Miles Of Florida Coastline. Accessed July 5, 2016. The New York Times (2016, July 1) Reeking, Oozing Algae Closes South Florida Beaches. Accessed July 5, 2016. Orlando Sentinel (2016, July 1) Florida's biggest lake fouls coastlines. Accessed July 5, 2016. Rick Scott: 45th Governor of Florida (2016, June 9) Gov. Scott Declares State of Emergency in St. Lucie and Martin Counties Following Algal Blooms. Accessed July 5, 2016. TCPALM (2016, July 1) Lake Okeechobee discharges into St. Lucie River will go up before they decrease. Accessed July 5, 2016. TCPALM (2016, May 17) St. Lucie River algae could be blue-green and toxic microcystis type. Accessed July 5, 2016. 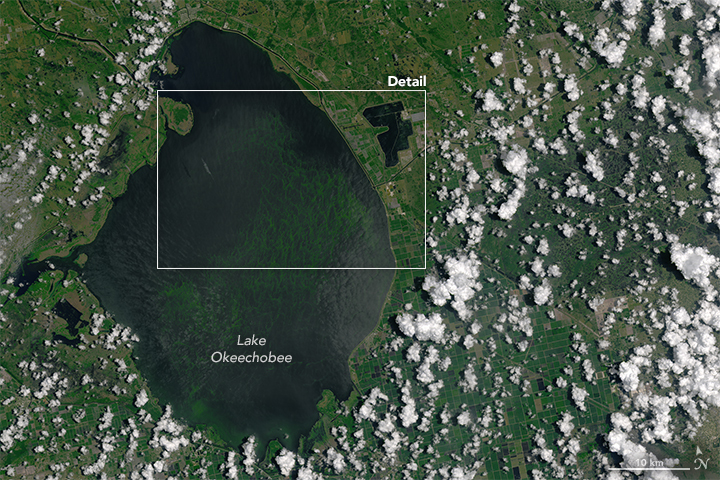 The Weather Channel (2016, July 2) 2 Florida Counties Added to Algae Bloom Emergency; Government Reducing Water Releases From Lake Okeechobee. Accessed July 5, 2016.